Known for their versatility, solvent dyes are soluble in non-polar mediums and are used in variety of applications including inks, plastics and petroleum. These dyes are also used for coloring in industrial cutting and automotive industries. The exclusive range that we offer is high in purity, strength, solubility and stability. With rich industrial experience, we are successfully meeting the varied requirements of our clients by offering quality approved Industrial Dyes, Emulsions & Auxiliaries. 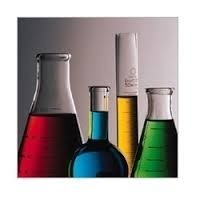 Our product range mainly include Reactive Dyes, Acid Dyes, Direct Dyes etc. These are manufactured using quality chemicals which are sourced by expert procurement agents from certified and trusted vendors of the country. Our dyes are used in many segments owing to their salient features like superior colour fastness properties, non toxic and high purity. We are supported by state-of-the-art manufacturing facilities along with advanced R&D, quality testing and warehouse & packaging facilities, which helps us to meet the urgent and bulk requirements in stipulated time frame. Moreover, to strengthen our production process, we have appointed a team of qualified and skilled personnel with in-depth process knowledge. Our entire workforce is acquainted with the diverse demands of customers and offer them exact solutions as desired by them in least possible time. Our major market areas are Bangladesh, Iran, Pakistan, Egypt, Turki.